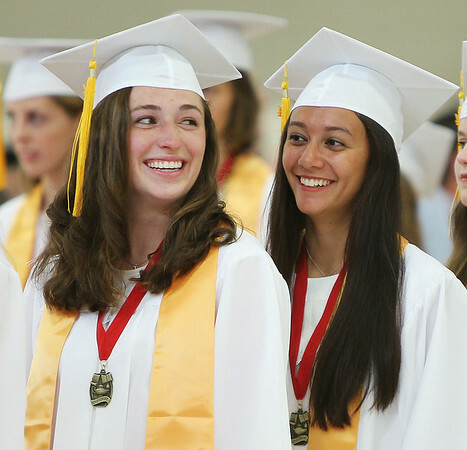 Masco graduates Madison Kelly, left, and Julianna Kostas, right, share a laugh as they wait for their classmates to file in at the start of graduation on Friday evening. DAVID LE/Staff photo. 6/6/14.